A hard-hitting Swedish "doom blues" outfit, the seeds for Grand Magus were sewn when Janne (guitar/vocals), Fox (bass), and Iggy (drums) began playing together as Smack in their native Stockholm circa 1996. By 1999, new drummer Trisse had joined up and a couple of well-received three-song demos convinced the band to go pro and adopt a new name in the year 2000. 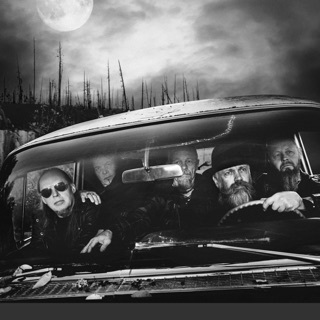 Their choice, Grand Magus, was actually much more fitting with their sonic identity, which consisted of both '70s hard rock and stoner rock influences and drew the attention of Rise Above label boss Lee Dorrian. At the beginning of 2001, they entered local Das Boot Studios with Dismember drummer Fred Estby acting as producer, emerging a few weeks later with a self-titled debut that was released in 2001. Since then, Grand Magus have released four more full-lengths: Monument in 2003 (JVC); Wolf's Return in 2005 and Iron Will in 2008 (both on Candlelight); and Hammer of the North in 2010 (Roadrunner). Along the way lead vocalist Janne changed his name to the initials J.B. and also began singing for top Swedish stoner metal act Spiritual Beggars. The following year saw the band make the move to Nuclear Blast, who would go on to issue their next three LPs, The Hunt (2012), Triumph and Power (2014), and Sword Songs (2016).